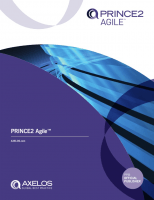 The PRINCE2 Agile Manual supports a new qualification which is being offered as an extension for those who already hold a PRINCE2 Practitioner qualification. PRINCE2 Agile is the most up-to-date and relevant view of agile project management methodologies and the only framework covering a wide range of agile concepts, including SCRUM, Kanban and Lean Startup. Find out more about Accredited PRINCE2 Agile® training.